Although Americans inhabit a fundamentally capitalist society, we largely avoid difficult conversations about money and finances, a problematic tendency that contributes to our general lack of financial literacy. Financial illiteracy is a widespread phenomenon, even among those of us lucky enough to receive an excellent higher education. The typical Whitman student, for example, navigates their college career without ever learning about personal finance; we are taught important critical thinking skills but often remain blissfully ignorant about things like credit card debt and how to best save for retirement. Given the tremendous importance of the topic, it is essential that we take it upon ourselves to improve our individual financial literacy and learn to talk about money in a healthy and honest way. Americans’ inability to talk about money has several notable societal consequences. One of them involves the gender wage gap: men and women refusing to talk about their respective salaries because it’s a cultural taboo allows for the insidious perpetuation of the gender wage gap. If discussions about gendered discrepancies in salaries never occur, it becomes considerably easier for companies to inadequately compensate their female employees with impunity. Additionally, rabid consumption seems to be the default approach for those who don’t like to talk or think about their finances, an approach that leaves no room for discussions of budgeting or other more pragmatic financial maneuvers. The unquestioning mentality of rabid consumption also leaves us drastically unprepared for financial emergencies. A Federal Reserve Board study found that 40 percent of Americans can’t afford a $400 financial emergency, a horrifying number partially indicative of pervasive American income inequality but also of our proclivity towards spending instead of saving. Being aware of the sobering drawbacks of failing to make credit card or student loan payments is also an important part of financial literacy. Americans on average carry $15,956 in credit card debt, a number that can get out of hand quickly because of compound interest that accrues when an outstanding balance isn’t paid in full each month. And for college students unable to pay back significant debt from federal student loans, the government is allowed to sue you and seize other assets you may own in order to recoup (with interest) the money loaned. 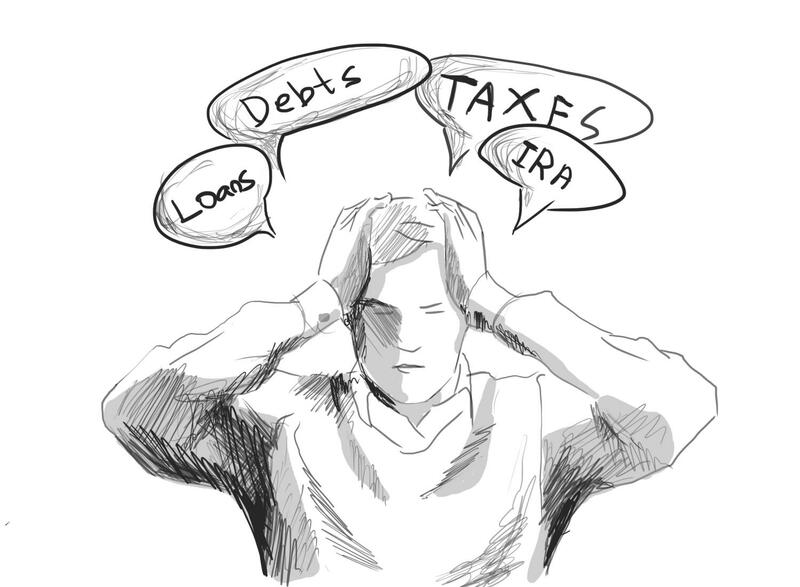 Understanding the problematic nature of unpaid debt is an essential piece of personal financial literacy and ensures that one doesn’t fall prey to corporate America’s morally dubious practices. But personal finance knowledge is not all doom and gloom. While compound interest can be your mortal foe if you’re unable to pay out an outstanding credit card balance, it can be your best friend when saving for retirement via an individual retirement account (IRA). With rising healthcare costs, increasing lifespans and the prospect of social security potentially being eliminated in the future, it makes considerable sense to begin saving for retirement early through IRA accounts. Once money — no matter how much — is placed in an IRA it can be invested in companies or funds of one’s choice and will likely grow tremendously along with the stock market, giving you a sizable chunk of change and significantly improved financial security when retirement rolls around. With personal finance in general, a proactive and thoughtful approach is key. In gaining financial literacy and talking more openly about finances, we make ourselves considerably less likely to be taken advantage of and put ourselves on the path towards long-term personal financial stability.